All has been quiet on the blogging front recently, and that's because I have been saving all my recent reviews and favorites to share in a holiday round up. 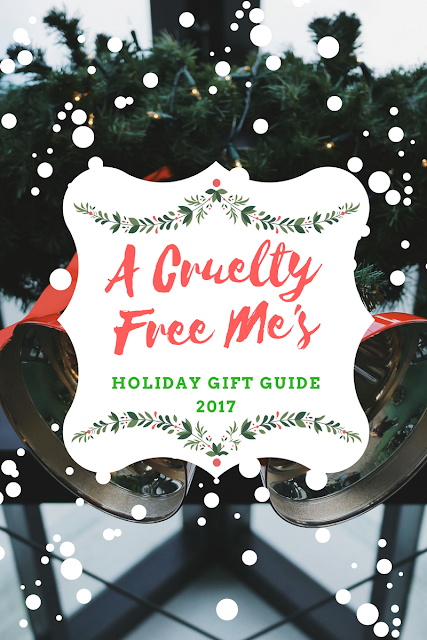 I have some great cruelty free and innovative products to share with you this year and I hope it sparks inspiration for some gift giving this year! I just began my Christmas shopping this week and I cannot wait to adorn the gifts with the beautiful cards, tags, and envelopes this book helps you create. I am a huge fan of books like this, since I love crafting, but am finding I have less time to do so lately. Take a look inside! Rescued by Peter Zheutlin is a delightful read. I first became interested in this book while researching rescue agencies and looking into rescuing my own pup. This is something I would like to do within the next few years and Peter's book made me sure of that. I grew up with a Labrador and loved the stories Peter told about his Lab, Albie and other rescue dogs and their families. Rescued would make a great gift to any pet lover on your list this year. Ikea Hackers came out with a wonderful how-to guide on upgrading ikea furniture, making it even more functional and something totally unique. This would be a great gift for someone who just moved into their first apartment, newlyweds, and even families as this book has all kinds of great DIYs and hacks from dollhouses to bed frames. 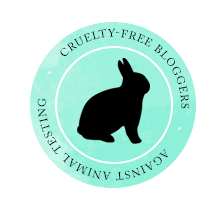 NaturAllClub is a cruelty free woman owned business. Their hair masks are made fresh in small batches and are toxin and synthetic free. Fresh avocados are used in the product, avocados are beneficial to all types of hair! A subscription to NaturAllClub would be a great gift for the natural beauty on your list. I tried the Damaged Hair Solution and it left my hair feeling nourished and healthy. A great gift for the natural beauty, or anyone who would appreciate some new items in their self-care routine. Earth Mood Perfume by Luna Noel are nontoxic and a great alternative to the harmful synthetic perfumes on the market today. The perfumes are paraben, phthalate, and musk free. Each of the four fragrances in the collection are made to represent an element and a place in nature. There are also gorgeous crystals in each bottle. No one says it better than the founders, trying these awesome products and learning about why they were created is pushing me to really look into what is in the products I use everyday. Chocolate Sun is an organic and cruelty free sunless tanning brand. I love this self tanner, it's so easy to use whether you're new to self tanning or a seasoned veteran. No mitt required, this product goes on just like lotion. As part of my self care routine I've been trying to moisturize daily after my shower, using this product helps me achieve a healthy glow as I moisturize. The Cocoa Illume Lite Tanning Face Gel is especially lovely as it is formulated for delicate skin, and being prone to breakouts it's amazing to finally have a product made just for my face! 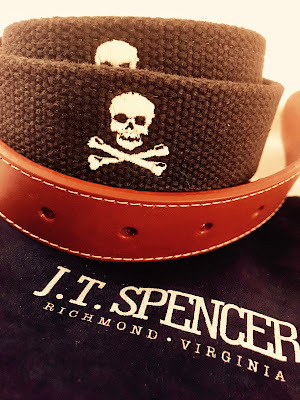 The scent of this entire line is delicious, and I've really been enjoying the rich scent and knowing that I'm using a line that is chemical free. Naked Nutrition is a sports nutrition company based on transparency, they stripped away the gimmicky marketing and all of their products are made with pure, healthy ingredients. Naked Nutrition sells quite a few types of protein including the typical whey protein but they also have some great vegan options. I tend to go fro vegan proteins since I cut dairy from my diet, these varieties don't include milk protein. I've been using the pea protein for over a month now in conjunction with Naked PB (peanut butter powder) to make shakes daily. My favorite recipe to to mix 1 frozen banana, chia seeds, flax seeds, almond milk, and a scoop of each powder in my nutribullet. The PB powder is non GMO, and all fat and oil is removed in processing, it has zero preservatives or additives. I think this would be a great gift for anyone who is health and fitness conscious, especially if they are somewhat new to working out (like me). Check out the Naked Nutrition site for more cool products such as protein cereal! The Sphynx Razor makes a great stocking stuffer for women on the go! It's perfectly portable and makes touch ups quick and easy. The Sphynx Razor comes in tons of fun colors and is small enough to throw in a gym bag or weekender. The unit is circular with a four sided wheel, which includes a spray bottle, shave balm, and 2 single blade razors. The shave balm is cruelty free, vegan, paraben and GMO free! Crated with Love is a wonderful date-night subscription box. Martin and I tested this out a few weeks ago and had a blast. This is a perfect gift for any couple! Martin and I have been dating 3 and a half years now, and the games included in this box helped us look back on a lot of fond memories, and even create some new ones. Our favorite game in this box was "perfect pairs" it kept us laughing all night.